Each of the 30 Villas boasts its own private plunge pool - you may find yourself spending all of your time in and around your villa, only emerging at meal times! Memorably atmospheric dining experiences with creative menu choices and delicious food - and Baraza is All Inclusive too so you can enjoy those exotic cocktails without having to worry about getting a wince-inducing bill on check-out! Stunning Spa offering a wide range of unique treatments - an oasis even featuring its own lap pool with underwater music! 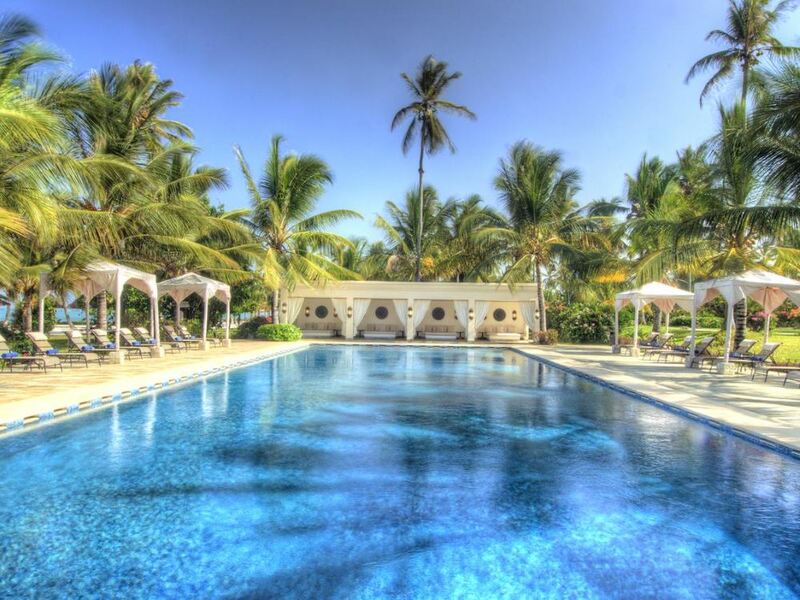 This stunning fully inclusive resort on the gorgeous beach at Bwejuu on the south-east coast of the island, is one of THE most stylish and luxurious properties on Zanzibar. Part of a group of hotels which includes Breezes Beach Club, the new Zawadi as well as the very exclusive The Palms, Baraza is the most opulent of them all and evokes the heritage of Zanzibar dating back to the era of the Sultans. A fusion of Arabic, Swahili and Indian design, with Swahili arches, intricate hand carved cement décor, beautiful antiques, handmade furniture and intricate brass lanterns, Baraza really is a feast for the senses! There are 30 villas - both 1 bedroom and 2 bedroomed options are available - each boasting their own private plunge pools and similarly lavish interior style and luxury. In a nutshell, the closer to the beach the villa is positioned the more expensive it is, but whichever type you choose you're guaranteed of a superbly luxurious and tranquil stay! 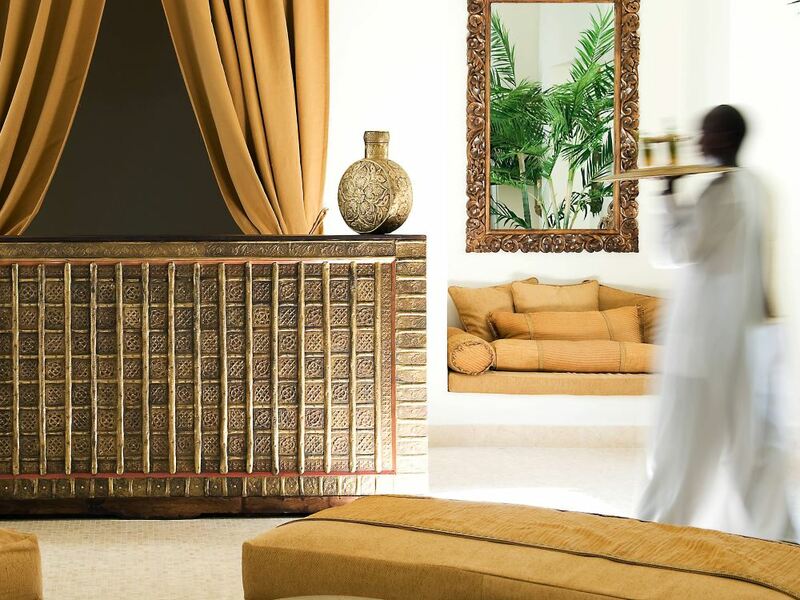 As mentioned previously the villas simply ooze authentic Zanzibari character and style with opulent gold fabrics providing the signature colour palette. Craftsman on the island skilled in the art of cement carving were responsible for the beautiful diverse handmade designs inlaid in plaster that are a feature of all the Villas and buildings, whilst all the Zanzibari furniture such as the gorgeous kists is hand made by local artisans who have perfected the art of wood carving for which Zanzibar is so famous. Talking of meals, dining at Baraza is a memorable, stylish and downright delicious affair - and best of all is that the resort is All Inclusive, so you can enjoy those bottles of crisp white wine or tropical cocktails without dreading the resulting bill on check-out! The menu is again inspired by Arabic, Indian, Persian, Asian and Swahili flavours using the local spices for which the island is famous - every evening features a different influence showcasing the island's produce and spices. If you're of the active persuasion, The Water Club is the group's water sports centre located approximately 300 meters from Baraza on the Bwejuu – Paje beach front. Featuring a great selection of new equipment and offering instruction in wind surfing, kite surfing and sailing, The Water Club is the perfect place to experience the very best of the Indian Ocean. Otherwise why not head instead to the Frangipani spa - an oasis featuring its own lap pool with underwater music, indoor and outdoor relaxation rooms, the Sultans bath (a signature treatment for two) as well as a fitness centre and tennis court. 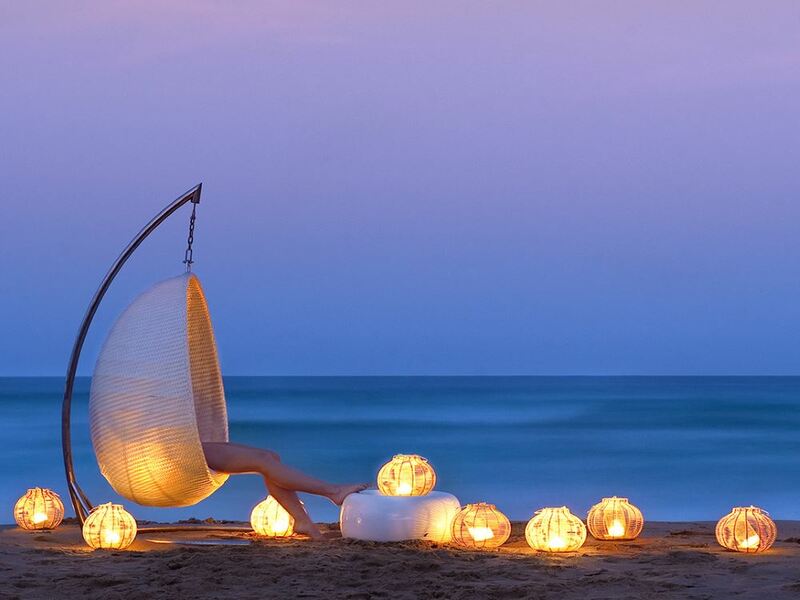 In this beautiful setting with its sophisticated Swahili style enhanced with candlelight and spice scented aromas, you can enjoy a variety of relaxing treatments and therapies courtesy of professional therapists from Thailand, Bali and India offering a wide array of specialized massage techniques and treatments, including the renowned Thai massage. Only potty-trained children from the age of 4-12 can be left in the care of the supervisor.